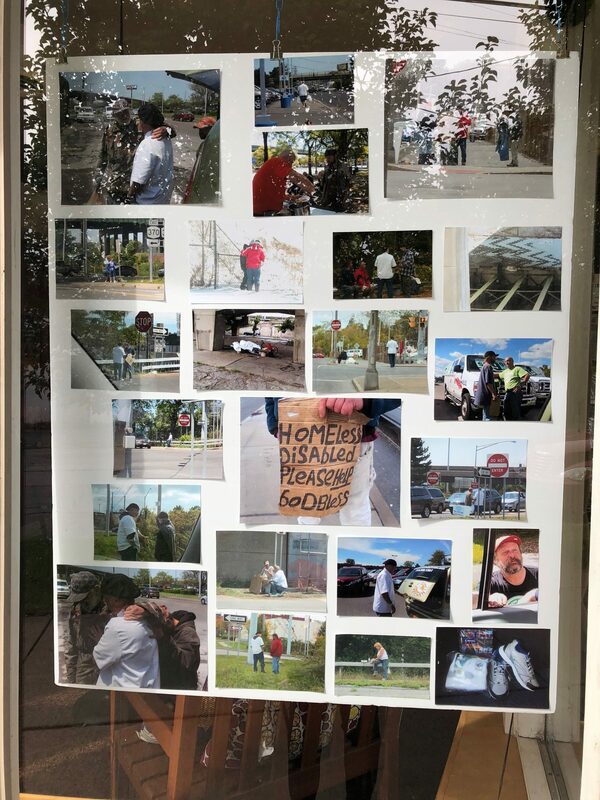 In connection with the current exhibition in the gallery, Invisible People: Portraits of the Homeless by Neil Shigley, ArtRage has asked In My Father’s Kitchen to share their story. 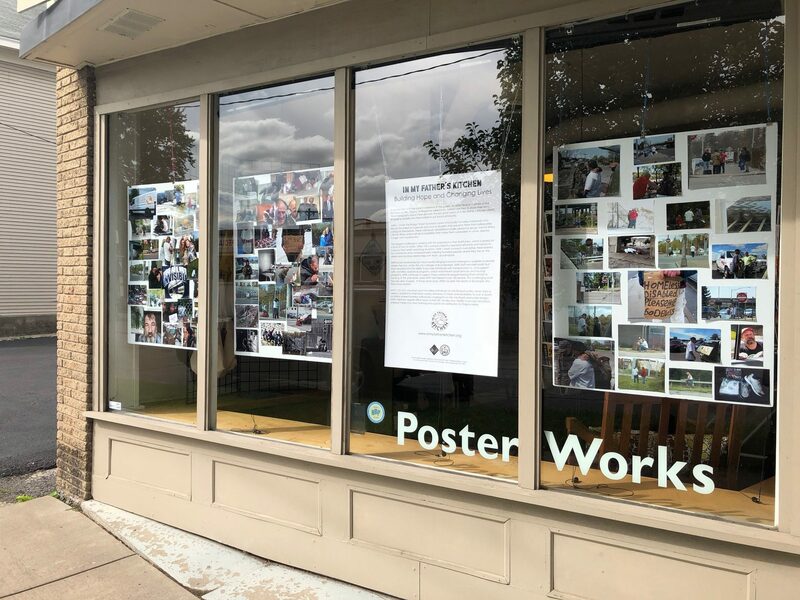 The display in the gallery windows are from the last seven years of In My Father’s Kitchen (IMFK) engaging people who feel invisible in our local community. IMFK‘s ‘Under the Bridge’ Street Outreach assists chronically homeless individuals who live on the streets of Syracuse and have a disability that prevents them from adequately caring for themselves. These individual’s disabilities include substance abuse, mental illness, chronic illness and/or physical disabilities that make them vulnerable to crime, disease, hunger and hopelessness. IMFK builds relationships by twice-weekly bringing food and emergency supplies to people where they live, under the city’s bridges and overpasses. IMFK staff members build trust that translates into the ability to provide individuals with transportation to, and support with, homeless assistance programs and/or mainstream social services and housing programs. IMFK continues to support these vulnerable people helping them remain in housing. In the past seven years IMFK has helped house 102 people. This challenging work has also seen tragedy. In those same years, IMFK has seen the death of 20 people who they have assisted. IMFK staff and volunteers assist homeless individuals on call 24 hours a day, seven days a week in addition to their twice weekly deliveries of meals and necessities to over a dozen locations where homeless individuals congregate on the city streets and under bridges. IMFK maintains regular office hours at their 501 Hawley Ave. facility to accept donations, prepare meals and store clothing and supplies for distribution to those in need.